Here is a little reflection I made on the role of mediation in religion, noting differences in Catholicism and Protestantism as well as differences between modern and ancient societies. The article does not come to a proper point, but I hope that it can give my dear readers food for thought. Here is the latest post in my Examining Light Novels column. I talk about the medieval caste system with a focus on executioners, who would have been considered untouchables at the time, and try to compare that to how one’s social status in modern society causes people to view one. What makes for a favored class of persons changes in every age, but people’s desire to measure others by their particular situations doesn’t. Click the link below! I’ve had a lot of fun talking about Spice and Wolf and how accurately the author portrays the medieval era or the medieval Church. But, it’s time for me to move onto greener pastures. My next post for the column will be gleaned from the light novel series Slayers. Unlike Spice and Wolf, I’ll be reading this one from the original Japanese, which–though more verbose–is actually a little easier than many popular manga. “Examining Light Novels” has returned to Beneath the Tangles! I decided to write it on a somewhat contentious topic–at least, in Catholic circles. 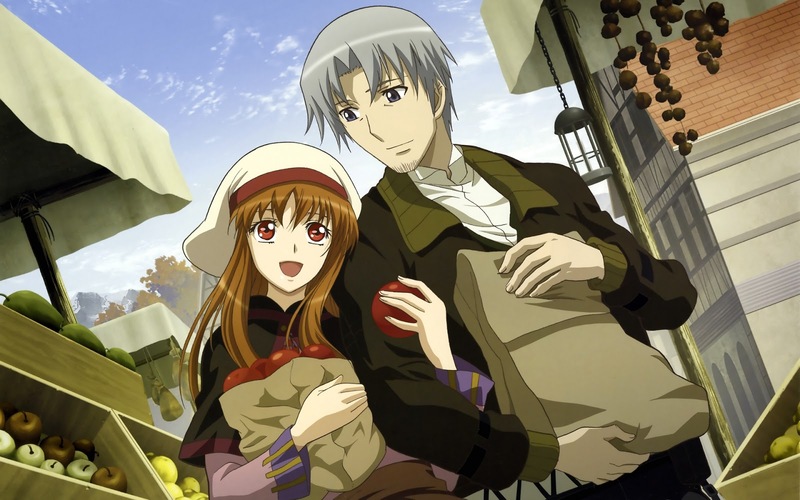 The idea was mentioned in volume thirteen of Spice and Wolf. I wonder what religious ideas the next volume will present the reader? My latest article on Beneath the Tangles talks about why Latin became the Franca lingua of the Middle Ages, and about how the Catholic Church preferred–and indeed, still prefers–this language above all the rest. This topic and the last one I wrote about, monastic contributions to European economics, Isuna Hasekura gets very right.